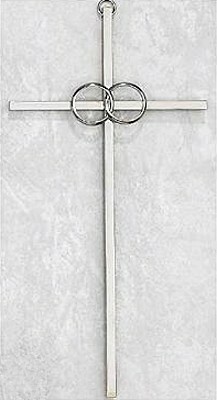 Welcome to our Catholic Wedding Gifts page. 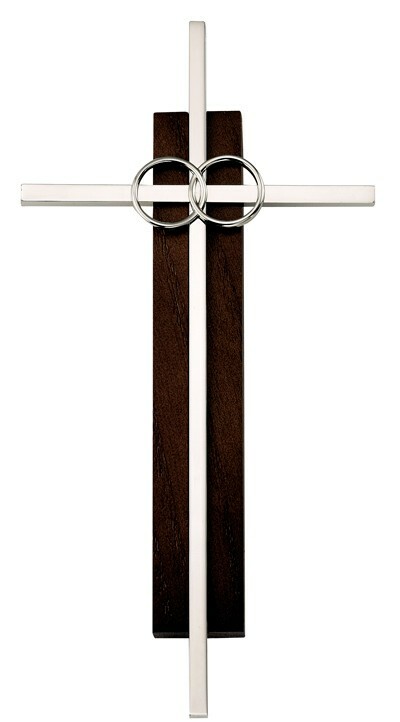 We offer a wonderful selection of Wedding Gifts to help you celebrate this most special sacrament. 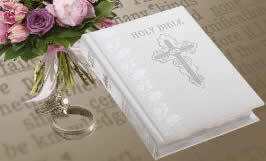 We offer Personalized Catholic Wedding Bibles that can be used in the wedding ceremony, and are sure to become a treasured item in your family for generations to come. 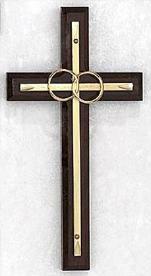 We have traditional Catholic Wedding Wall Crosses, Rosaries and picture frames as well. May God bless you and the happy couple on this blessed occasion. A Personalized Catholic Wedding Bible with the names of the Bride and Groom, brief message, and the date of the wedding on the cover makes a wonderful gift. Ours includes a Holy Matrimony Record Page to list members of the wedding party, a Family Tree Section to list genealogy for both the Bride and Groom's families, and a separate record section for each child (up to 8 children) where sacraments and life events can be recorded. This complete Catholic family Bible is a personal, spiritual, and yet functional gift that will comfort, enlighten and inspire for a lifetime of love together, and is sure to become a cherished family heirloom as the happy couple records each special sacrament and life event. 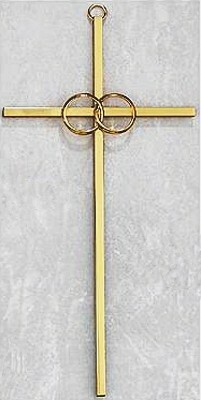 Find a beautiful Catholic Wedding Cross for the wall, the cake, or both. 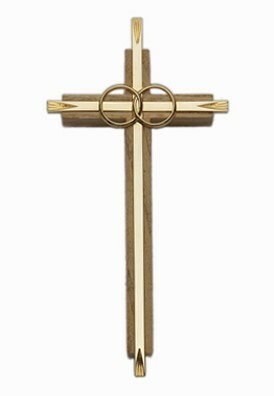 The Cana Cross is a lasting symbol of your love and unity, and makes a wonderful display of your support for traditional marriage and the Catholic family.